Four new console video games set some familiar characters off on new adventures and offer new twists on some familiar sports. 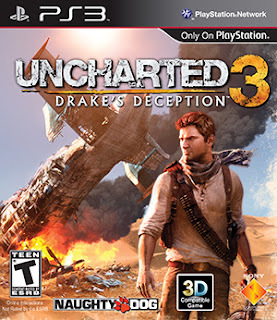 Nathan Drake is back in Uncharted 3: Drake's Deception ($60 for PlayStation 3), which sends Drake into the Arabian Desert where he hopes to find the fabled "Atlantis of the Sands." Along the way, he mixes it up with a series of villains and escapes from more tight spots than Indiana Jones. But the quest pays off when he and his buddy Sully find the secret entrance to the vast and ancient underground city. The game has all of the visual appeal of a great adventure movie while letting you control the action. Each sequel in the Ratchet & Clank franchise has been just as entertaining as the Mario or Sonic series. In Ratchet & Clank All 4 One ($60 for PlayStation 3), the guys are again jumping dangerous ravines, battling robots and solving puzzles. The difference this time is that to be successful, the characters, including the bad guys, have to work together. 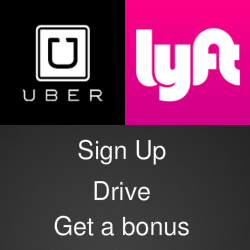 To get everyone in the game, All 4 One expands to allow multiple players who can join the quest locally or online. Everyone gets to play a part in solving a puzzle, sharing weapons or ganging up to defeat an enemy. Kinect Sports Season 2 ($50 for Xbox 360) puts Microsoft's motion control feature to good use with a collection of simulated games and sports. Baseball, tennis and golf will seem familiar to anyone who has played the Nintendo Wii versions. But Kinect gets your whole body into the action, not just a hand holding a controller. Season 2 also adds skiing and football, which are played best when you have plenty of space around the TV. There's also darts, fo those times when you want to get the grandparents involved. The FIFA soccer series follows the same pattern as the Madden NFL games. Each new release brings more detailed graphics, players that look more like their real-life models and improvements in game-play engine. In FIFA Soccer 12 ($60 for Xbox 360 and PS3; $50 for Wii; $40 for PC, Mac, Sony PSP or Nintendo DS3) the biggest change is the addition of precision dribbling, which gives players far more control over the ball when they're on the attack. Instead of barging past a defender, you can use more subtle moves to get in the clear. However, defenders have also been given more tools to help them steal the ball back. Playing the game turns out to be both more challenging and more fun - and a lot safer than kicking a real soccer ball around the coffee table.